I’M putting this one up a little earlier as my last two posts were winners but a little late to the party – my fault – and I’m going for a fourfold in this bet. And if I may address the small posse of friends who have shared such positive thoughts recently, I hope you will go with the four picks on Monday night in order to pull in the higher reward. Of course, we need them all to come in to make the bet a winner. (We have covered some degree of uncertainty with a DNB in Brazil later. It may be the bet is down by then, but the Argentina treble looks fairly solid meantime). I’ve only added the Brazilian line to pep this up a bit. But I myself will be going for all four. I hope some go with me! Although I started off with Unders in mind – and I wouldn’t want to put anyone off, as, in four home games, Sacachispas have only scored 4 and conceded 3 for a total goals count of 7 – the more I look at the stats, the more I feel drawn to a home win. (Unders is 19-40, and on the stats so far this season looks nailed-on, but last season in this league, Sacachispas were the most unreliable/worst home side for Unders with 11 over and 6 under, and note that all of their last five home regular season games were over, so, they’re… capricious!). So I like the home win and, in terms of the home win, they’re looking a pretty good shout. Not so much because they are particularly noteworthy as a winning prospect, but because Talleres look particularly bad. Sacachispas are currently 9th overall in the league, and Talleres are bottom (of 20). Sacachispas are also 9th best home side, but they’ve only played 4 at home, compared to many above them who have played 5 or 6 home games. Their record is solid. W2 D1 L1 F4 A3. I’m not overly impressed by Sacachispas’s one home defeat – 0-2 against Defensores Unidos, whose only away win this season it was. I wanted the defeat to be against the best away team in this league, which Defensores certainly are not, but Defensores were promoted champions of Primera C last season, so, they have something positive about them. The key is Talleres’s dismal away record is P5 W1 D0 L4 F2 A7. It gets worse, though. Their one away win was 0-1 in the first game of the season against Deportivo Espanol, who are bottom of the league, and their defeats have been against 4th, 5th, 6th and 8th best home sides. We noted that Sacachispas are 9th best, so, Talleres haven’t lost to anyone worse than Sacachispas, but three of those sides have played a game more at home than Sacachispas, and they’ve all dropped points in draws or defeats, and they’ve all conceded as many or more goals than Sacachispas, with UAI Urquiza losing twice. More significant, though, Talleres overall haven’t won anywhere since the start of the season, and they had seven defeats following that one away win. In their one game since the run of seven losses, at home, they managed a 0-0 to mid-table Fenix. But here’s the big one for me. They scored their two away goals in August, and they haven’t actually scored ANYWHERE home or away since then. Last season, Sacachispas won home and away against Talleres 1-0. Season before Sacachispas were in Primera C (which they won). Though I expect the Unders to come in, I think the home win is worth the additional risk! It can only be an Under 2.5 match goals recommendation. San Telmo home are the third best Unders side in this league. They’ve played 5. They are over in none, and under in five. They’ve scored 4 goals and conceded 3. Away, Deportivo have played 4. They’ve scored 0 and conceded 5. Amazingly, one of those games was Over 2.5 goals – a 3-0 whacking by top of the league Deportiva Riestra. Ideally, I’d suggest BTTS – No. However, that option is not available anywhere, which I would definitely go for otherwise, but I’m happy with Under 2.5 goals. I say ‘happy’. There’s a slight tug at my attention as last season, the encounters went 2-1 with San Telmo at home and 3-1 with Deportivo at home, but we only have the evidence before us for this season, and I am happy to overlook that history based on the current trends. Sadly, so are the bookies. One of the attractions of the Argentine leagues for me originally – other than nobody else caring less about them on Mr Fixits Tips, which immediately means the bookies aren’t so hot on them either – was some of the names, and Chaco For Ever in the regional league of Argentina remains a joy. I won’t bore you with the details of their formation in 1913, and I guess, to be honest, I don’t really care about forever as long as they deliver on Monday. They played three times last season in this league, and five times the season before, and whilst only three of these games were with Chaco at home, all eight were Under 2.5 goals. Famous last words perhaps, but there’s not a lot to suggest we will see goals goals goals on Monday. I started looking at this one originally because I was looking at a treble based around three odds-on Unders bets from Argentina, and I thought it’s always good to get something a bit tastier in there if possible. Who knows? You could already be looking at three losers by the time this is up, but I like this a lot! I’m going to suggest Ceara Draw No Bet. Again, it’s more because the away stats are bad, rather than because Ceara are anything special at home. We can also note they have conceded in each of their last 10 away games. They’ve only scored in 4 of those games. We know Ceara are on a good run at home. They’ve won their last three. That’s pretty good considering they’ve only won five all season at home. Plus, at home, they’ve only lost four of fourteen. Goalswise, they’re F14 A14. They’ve only beaten 12th, 13th and 19th best away sides in these last three games, but you can only beat what’s in front of you – and they have! Botofago are 11th best away in this league. I am happy to take the gamble here to up the reward. On this uht, got BTTS no on the San Telmo game too. Fingers crossed this gives us a run for our money. 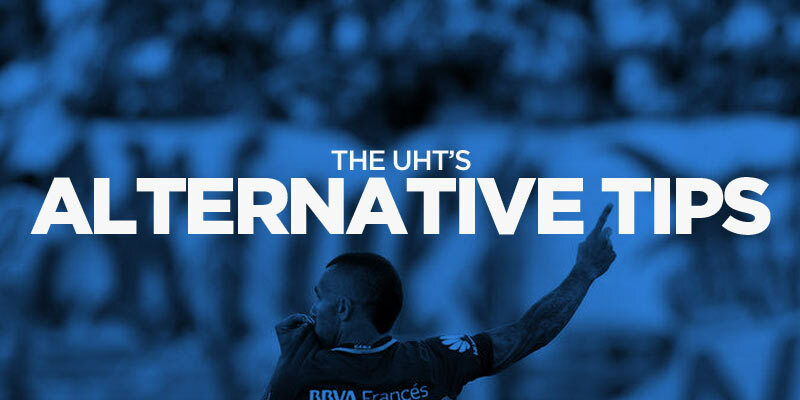 Appreciate all your work UHT, well worth looking at these Arg games, good odds if we get it right. Done the Arg games as a treble and will keep the Brazilians up my sleeve. Thanks again. Happy with Sacachispas, but the rest was pretty much a Saca something else.